Cleaner and landscapes trolley There is 1 product. 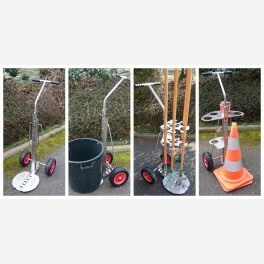 The unique and patented Porti'tou system available in a trolley, for professionals of roads maintenance and landscapes. Over the troubles to store and carry your long handle tools !